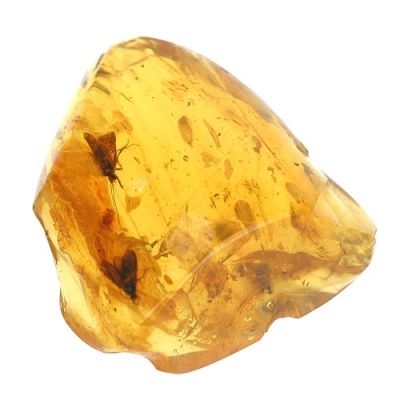 Amber is not a mineral but fossilised tree resin. It mainly dates from between 30 and 90 million years ago. The insects sometimes found embedded in lumps of amber like those in this picture, were trapped there when the resin was still a sticky liquid. Amber used to be found regularly on Southwold beach. Now finds are rare. It is all Baltic in origin and came from long-submerged forests disturbed by erosion, swept up by glaciers and, as the ice melted, deposited in East Anglia. Carnelian and agate, by contrast, are 'stone' - varieties of quartz. They both derive from Scandinavian volcanic basalt. Molten basalt contained bubbles of gas. As the gas was released, the hollows remaining filled with fluid chalcedony which eventually solidified into carnelian and agate. These semi-precious minerals are still sometimes found locally after rough seas. The Amber Shop in Southwold's Market Place features a small museum devoted to this fascinating and beautiful material. We are grateful to the owner, Robin Fournel, for the above information and for permission to use this image. See if you can find a piece of amber (donated by the Amber Shop) in Southwold Museum.